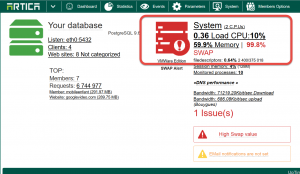 Your server complains that it’s swap usage is full and is turned to red. But you see that the memory is not fully used. In this example, the swap is 100% used but the memory is 50% usedThis means during a short period the server use a lot of memory ( starting a service ) and down to a correct average after. 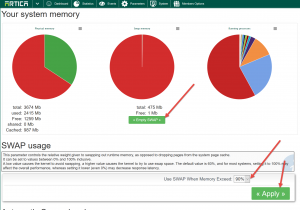 On the system memory click on the “Empty Swap” button to clean the used swap. 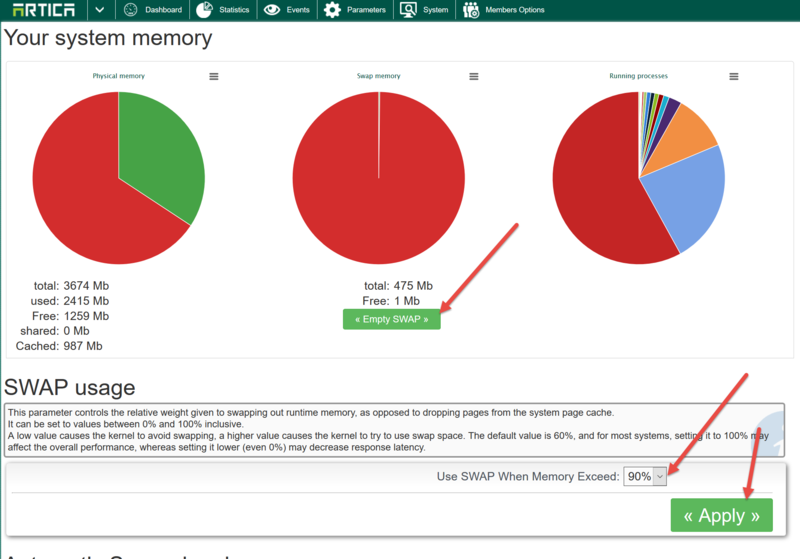 On the SWAP usage, increase the value that allows the system to use the SWAP when a percentage of memory is used. 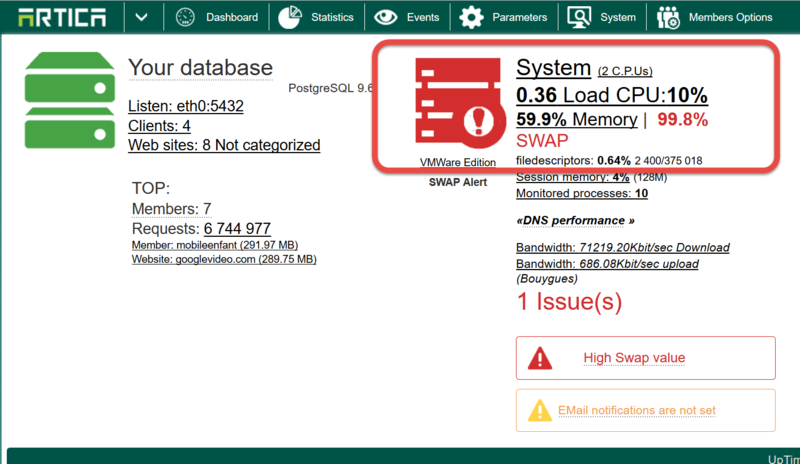 In this Example, When the Categories service is restarted it consume memory.